Ian has been with our team for 3 years. 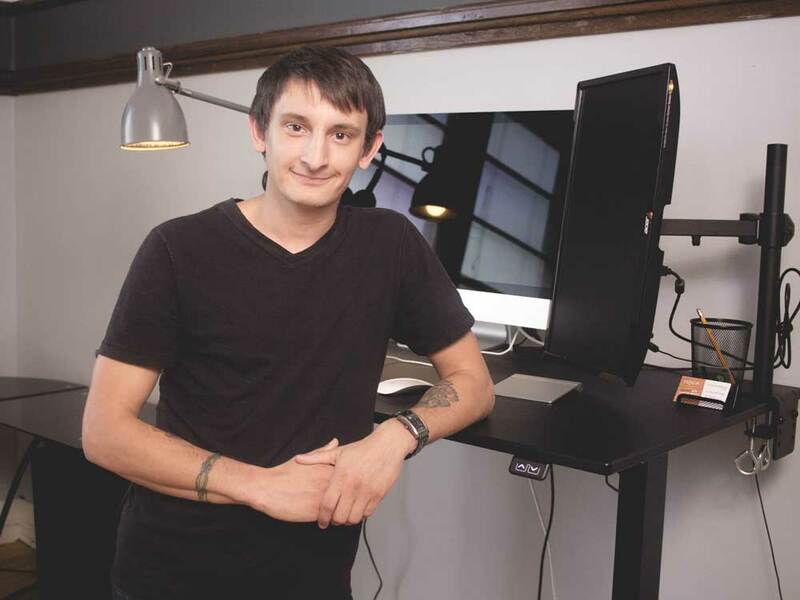 Ian oversees product launches, keeps our XenForo products up to date, and is our lead HMTL/CSS developer. What is you role at Audentio? I work as the lead developer on our XenForo themes, developing the UI.X Framework, and oversee all of our XenForo client projects, developing most of them, and managing the rest. Outside of XenForo, I develop WordPress themes, custom web projects, native applications for mobile development, and other miscellaneous user interface projects. What do you think is good about working in the computer science field in general? There are two things that I think we will always be able to count on needing. As we innovate and grow as a society, we will continue to replace manual functions and jobs with technology. Working in the computer science industry means being at the front of the continuous scientific growth and development, which will only continue to become more and more important as technology evolves. I have been in this industry for 3 years. One of the things that I love about this industry is the lack of pressure and requirement on a formal education. Computer science I believe is one of the first industries to recognize that there are other ways to gain a valuable education, and to embrace the workforce simply for its ability to do the work, as opposed to simply having knowledge of the work required of the job title. It is for this reason that I can proudly say that Audentio has been my only job in the field, and that everything I have learned, I have either learned on my own, or directly from the opportunities that my employment has offered me. Discovering and writing music. I have been writing music casually for slightly over 10 years now, and it has probably been my most significant hobby to date.